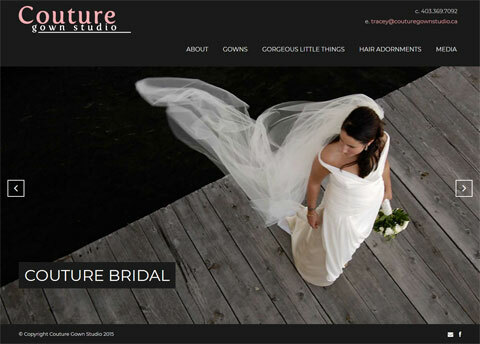 Boutique web design for Calgary based Couture Gown Studio who supply unique wedding dresses, bridal hair adornments and accessories. The website is deservingly visual using large, beautiful images on the homepage. The black background really helps these to stand out. Created in WordPress using a customised theme.